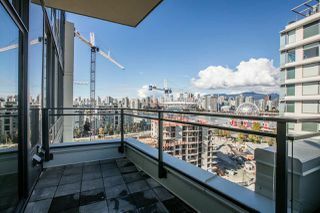 SUBPENTHOUSE at Block 100 by Onni. 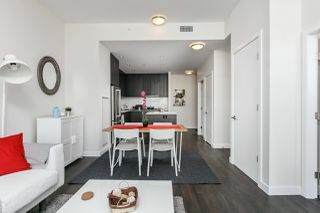 12 ft ceiling. A rare Gem with patio, bedroom and living room facing Science World, Downtown & the North Shore Mountains. 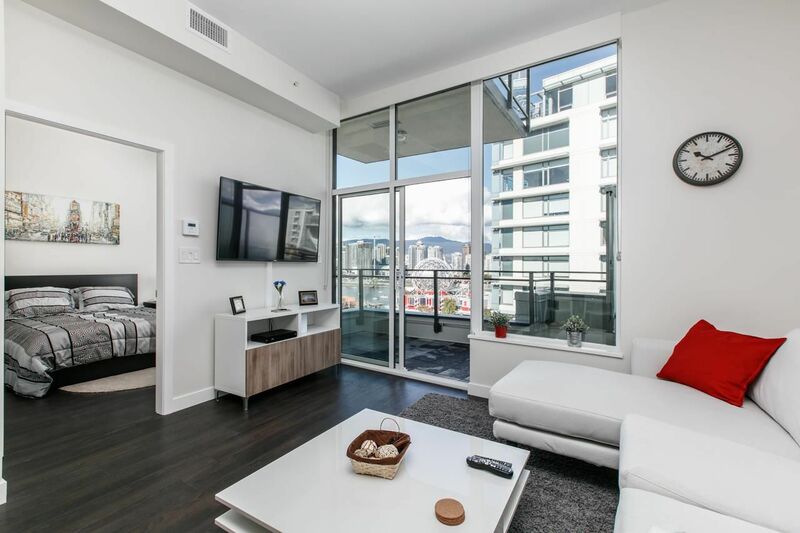 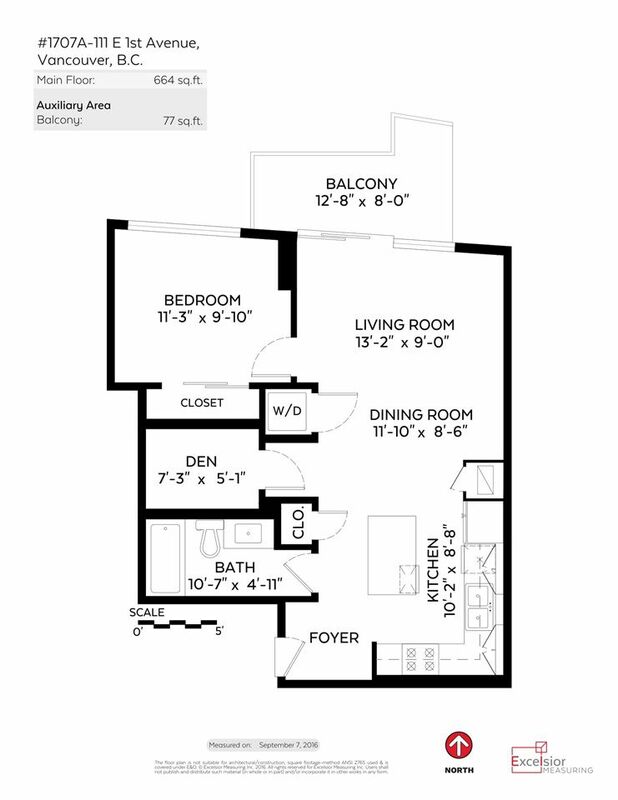 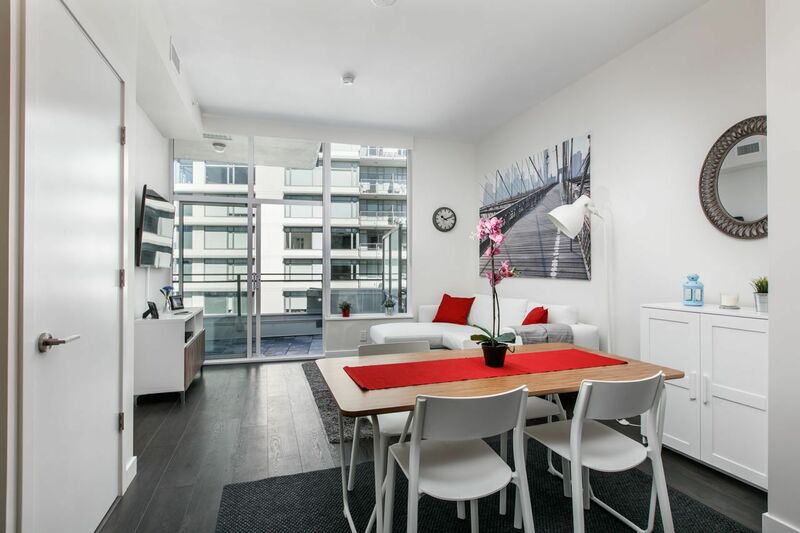 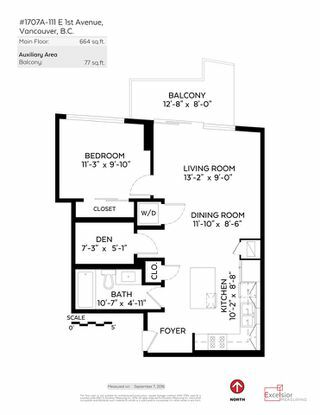 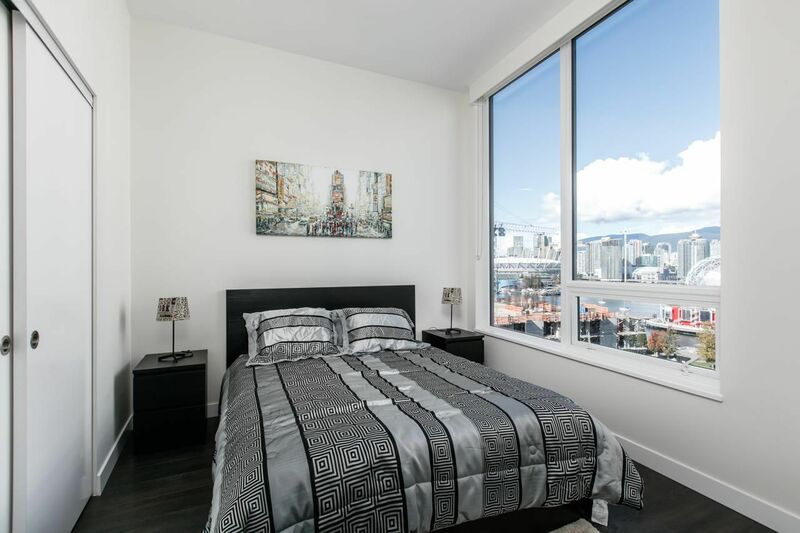 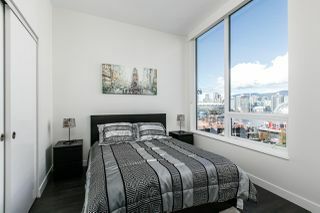 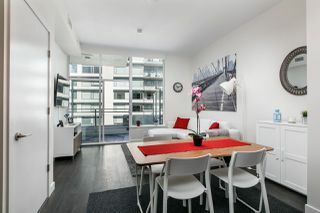 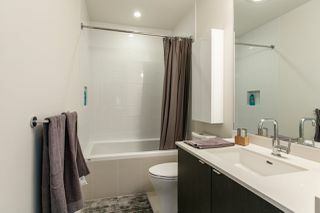 This unit features an amazing 1 bedroom & den layout designed by award winning Chris Dikeakos Architects. 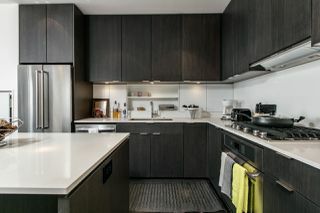 The designer kitchen features free standing island, fully equipped S/S appliances by KitchenAid and JennAir. 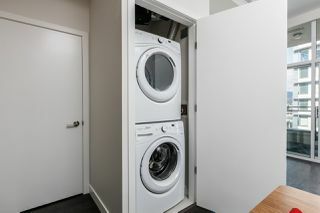 Conveniently located full size W&D by Whirlpool. 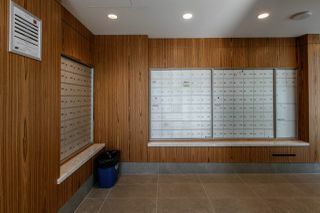 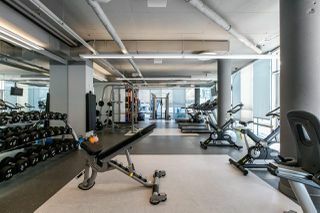 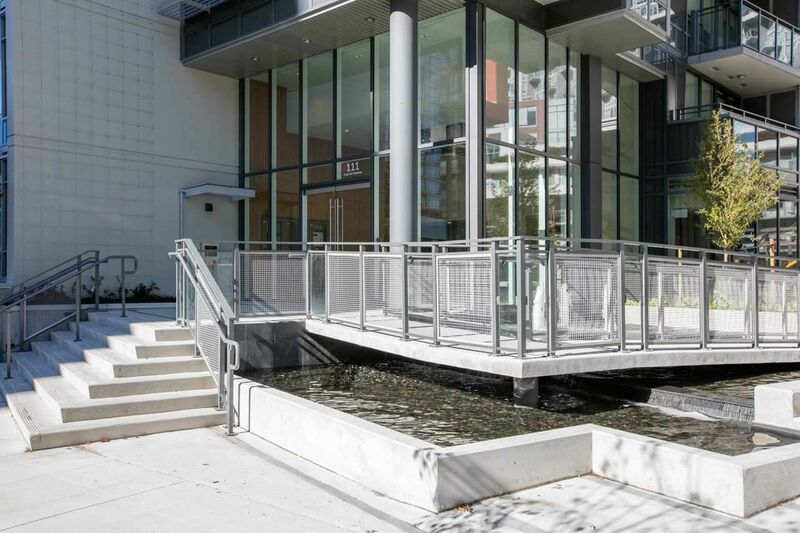 Amenities include the Club 100 with almost 5,000 sq ft of indoor/outdoor space, a multipurpose room, bicycle wash station, rooftop access for bbq and a fully equipped gym. 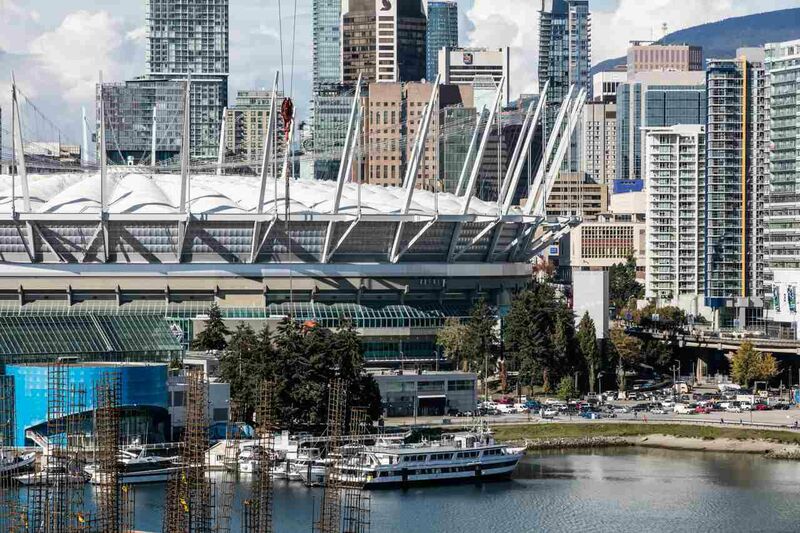 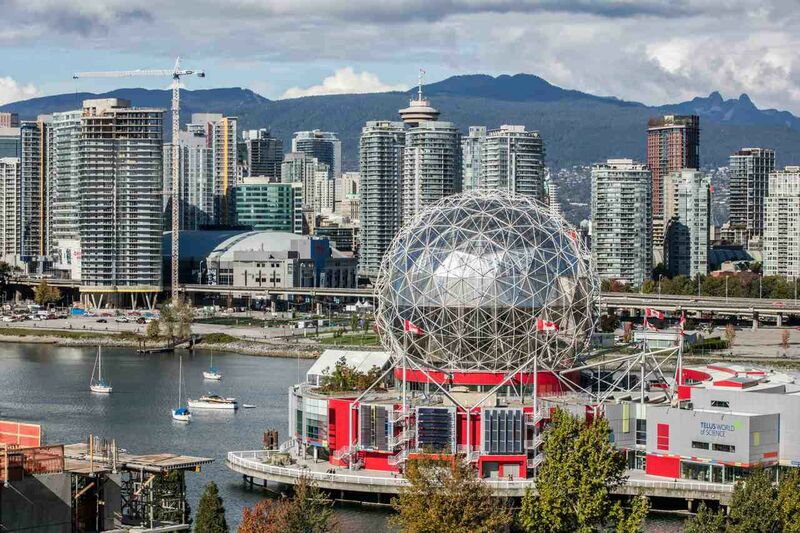 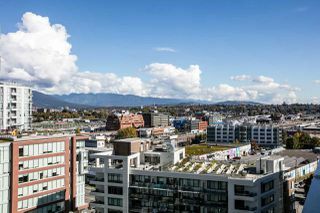 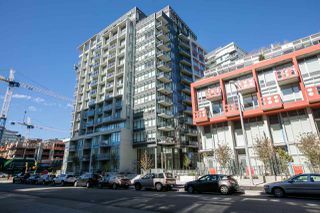 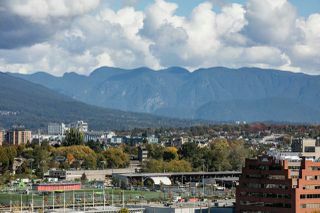 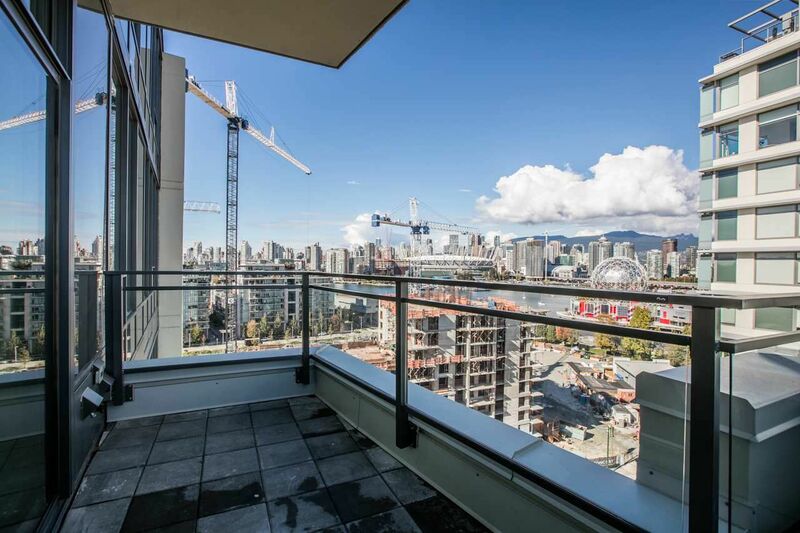 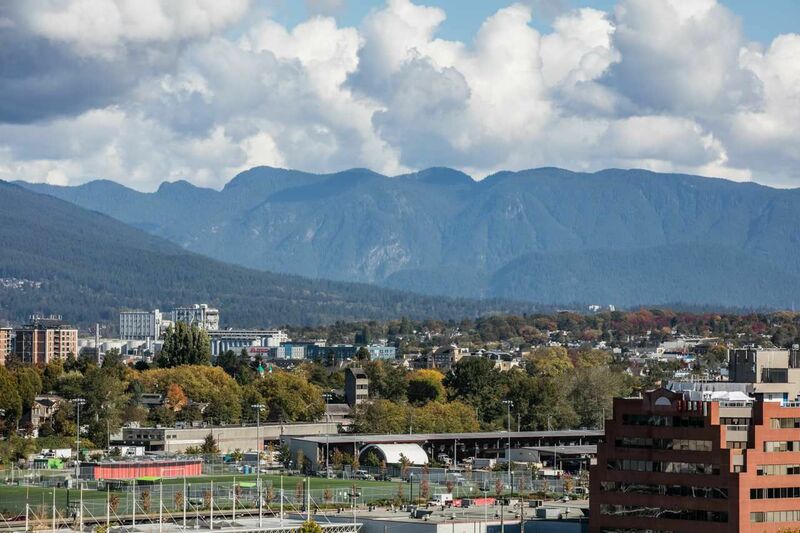 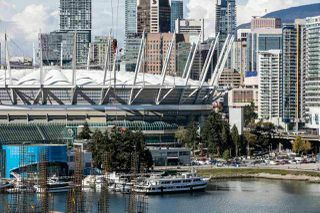 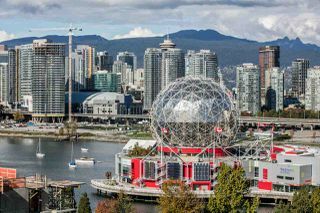 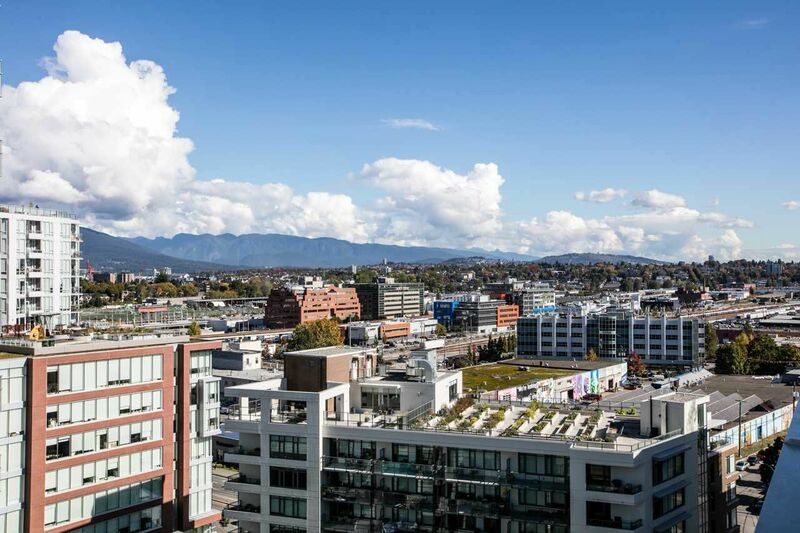 Experience the beauty and convenience of SE False Creek with restaurants and recreation at your doorstep. 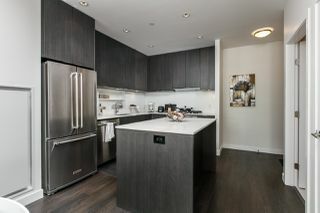 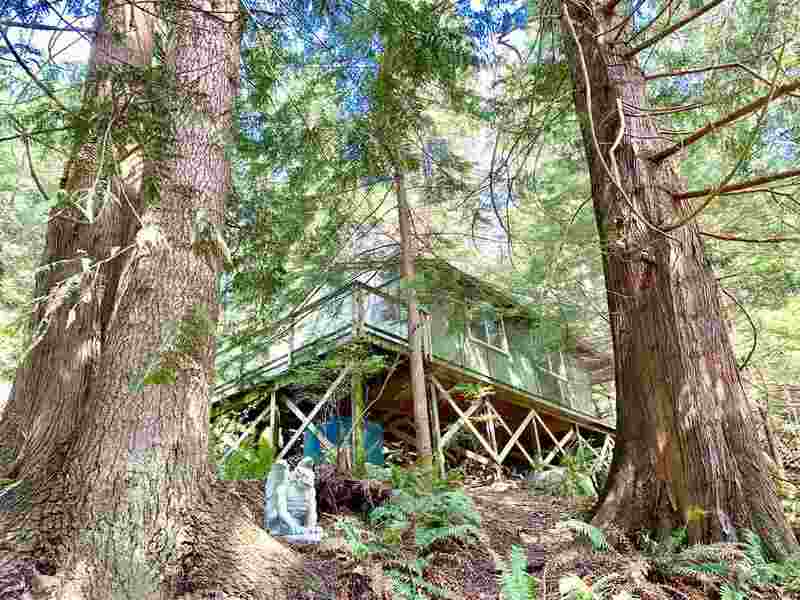 PUBLIC OPEN HOUSES: SAT & SUN, APRIL 8TH & 9TH, 2:00-4:00 PM.